Kyle Holland: What is it Like to Build Elite Athletes? Kyle Holland: What is it Like to Build Elite Athletes? Kyle Holland has a fresh and unique perspective on training, productivity and becoming successful as an elite athlete. Kyle is a Tactical Performance Specialist with world renowned integrated performance training company, EXOS. For the past 8 years he has been training elite athletes in the NFL, MLB, UFC, NHL as well as Olympians and NCAA athletes. He has a wealth of knowledge on ideal training styles for all demographics and what it takes to succeed as an elite athlete. Determination, motivation, willpower, grit and passion. Have you ever wondered what it takes to be a pro athlete. I mean are they all just born with amazing talent or is it something that they have to work towards? With a background in strength and conditioning and entrepreneurship, I believe that many of the characteristics that elite athletes show, are the same characteristics that amazing entrepreneurs display when they are growing their business. My guest today is a strength and conditioning coach who has trained NHL, NFL, Elite collegiate players as well as UFC fighters and olympic judo player at one of the countries premier training facilities, Mike Boyle Strength and Conditioning. He is now a Tactical Performance Specialist with EXOS, where he trains military and special forces soldiers. 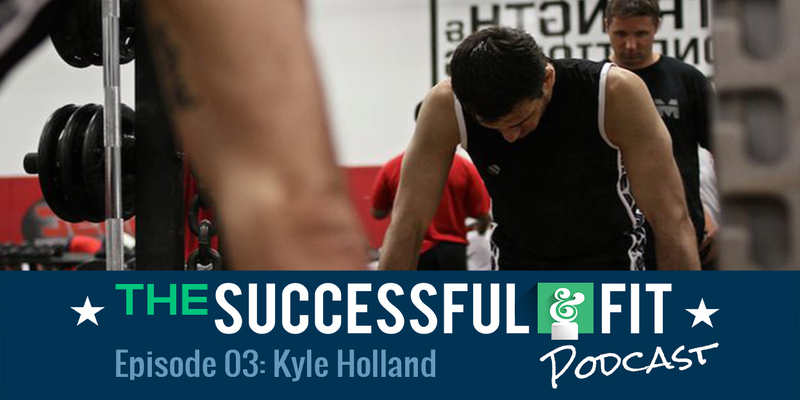 Kyle Holland has a wealth of knowledge on what it takes to perform at the highest level, and he shares a unique perspective on training styles, as well as how athletes and entrepreneurs are cut from the same cloth. Hi I’m your host John Timmerman, and if you are looking for ways to improve yourself, to in turn improve your business – check out this episode with Kyle Holland. Enjoy!